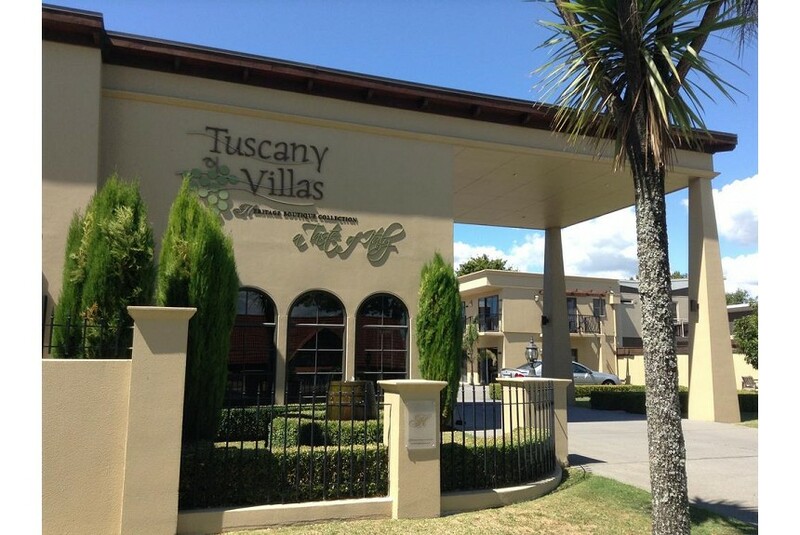 Set in landscaped grounds, Tuscany Villas Rotorua offers elegant rooms with spa baths and free Wi-Fi. A 15-minute walk from Rotorua’s city centre, this hotel has a hot tub and free parking. Tuscany Villas Rotorua Heritage Collection is about one km from the Rotorua Golf Club and Arikikapapa Reserve. It is a 14-minute drive from Rotorua Regional Airport. Decorated in neutral shades, self-contained studios and suites have a kitchenette and dining area. A flat-screen cable TV, DVD player and ironing facilities are also provided.